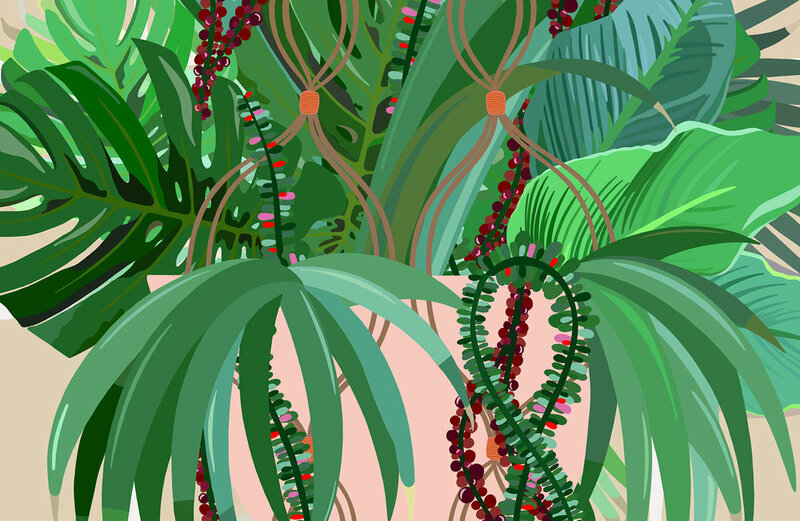 Bethany Lord is a London based illustrator who graduated from Arts University Bournemouth in 2018. Her work is original, bold and colourful focusing on lifestyle, travel and fashion. She uses bold digital colour palettes and different layering techniques to create depth and detail in her illustrations. Her latest work explores aerial views and embraces new digital technology. Bethany has drawn on her experiences from her travels, inspiring her to create pieces of work, around travel and lifestyle. Tell us a fun fact about you I got my first ever illustration job when i was just four years old! How did you get into illustration? From constantly drawing as a child and throughout my time in school. I Went to study Graphic design and realised I missed drawing and because I enjoyed doing it so much, I decided that is what I wanted to study. Who or what inspires you the most? Travelling inspires me the most, as well as different exhibitions, especially at the Saatchi Gallery. What does a typical day look like for you? Get up, Gym (as I'm usually sat down for the rest of the day), and then Draw, and draw some more whilst listening to music and podcasts! What do you do when you have a creative block? Get Outside and go to London and just explore! Do you have any tips for artists thinking of doing freelance? Put yourself out there and just go for it! What would your dream project be? Working for a fashion house such as Gucci or department store like Selfridges.